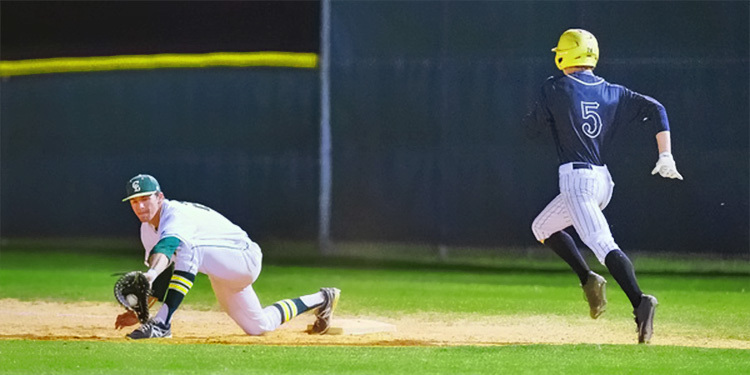 Canyon Lake Hawks continue their climb into the light of day and their loss showed better things might be on the horizon after a tough loss to Fredericksburg, 4-3 on Friday. The Billies started first with 3 singles in the first with an error thrown in for seasoning and Canyon Lake started in a hole, 2-0. CL’s first inning showed promise with a lead-off double by Cade Dunavant and Lee Stafford was hit by a pitch that had their first two batters own for some Hawk payback. A fielder’s choice and then a caught stealing on Hayden Reed trying to advance to 3rd base helped keep CL still needing some runs. The double steal was successful for only one of the runners and a CJ Parrish pop out ended this frame. Avery Montgomery was on the mound after a great outing last week in Hondo. His night got back on track after allowing two more singles the next inning.